There are many benefits to epoxy flooring…it’s beautiful, durable, and easy to maintain. Epoxy flooring systems can be installed in a variety of colors, textures, and patterns… every job is a custom creation. However, in order for your floor to have the durability it needs, you need to choose an experienced epoxy floor coating contractor. Our experts will guide you through the process, from the initial consultation to the final inspection. At SCS, we understand that different floors will need to withstand different challenges. Our team, headquartered in Huntsville, has the knowledge and experience to help you make the right decision and gain confidence as you move forward. 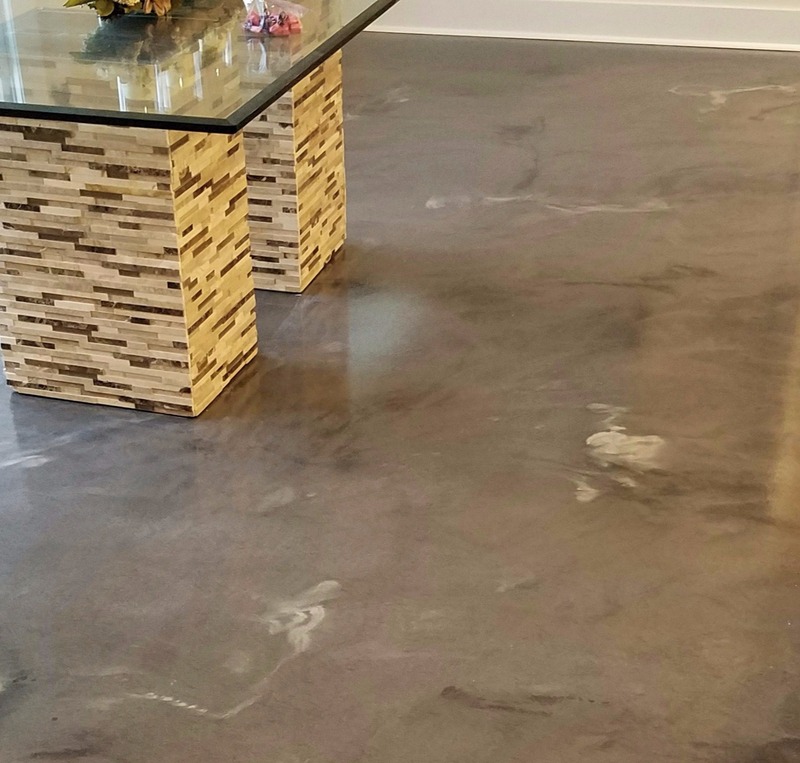 Epoxy floors and polished concrete are two of the most durable and functional floors on the market. They have outstanding abrasion and chemical resistance. They resist hot-tire pick up from vehicles, and are among the easiest and most cost-effective floors to maintain. 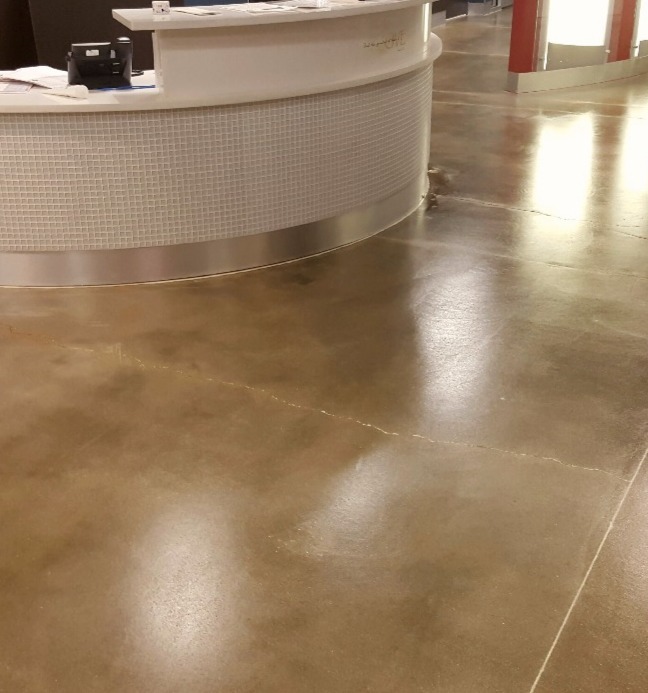 There is a reason that schools, hospitals, and athletic venues in Huntsville AL, as well as all over the Southeast, are turning to epoxy floors and polished concrete… they look great and can handle the abuse. 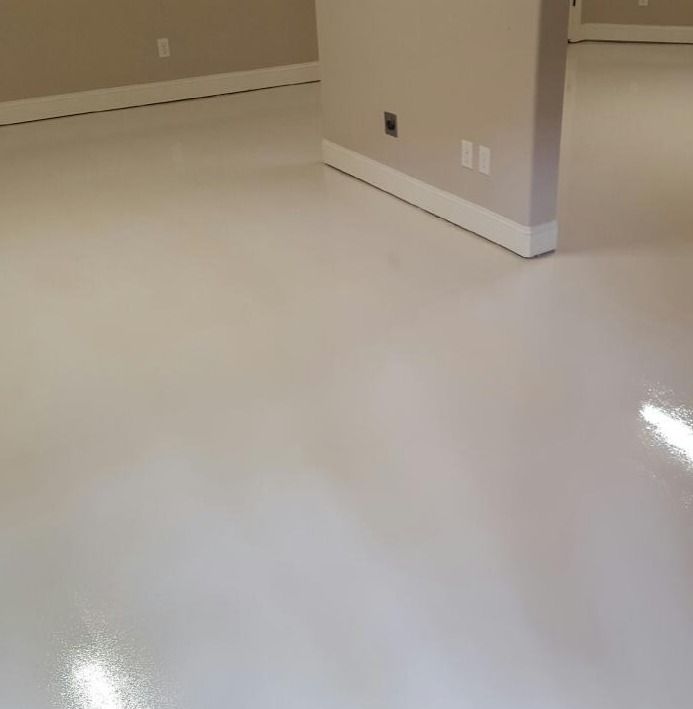 SCS has epoxy flooring solutions that range from highly decorative floors for showrooms, to simple, yet durable coatings for workshops and garage floors. Commercial kitchens... veterinary offices... chemical storage facilities... no problem. Our team has the product knowledge and the skillset to create floors that will withstand the harsh chemicals and cleaning agents that these floors are subject to. Give us a call today and see what we have to offer. Our friendly and knowledgeable staff is ready to help. Let us show you how we can be the solution for all of your decorative concrete needs. Let us know today how we can be your solution for epoxy flooring whether you have residential or commercial property.